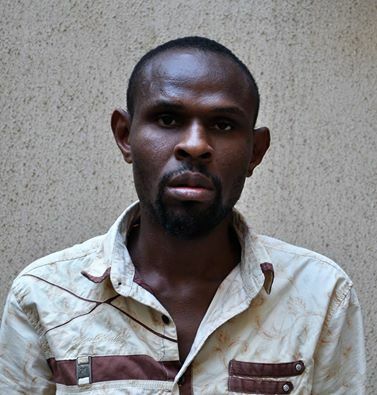 Operatives of the Economic and Financial Crimes Commission, EFCC, on Wednesday, November 9, 2016 arrested a suspected fraudster, Elvis Yemaye for allegedly defrauding one A.J. Kuba, a Czech, of money, to the tune of $19,534 (nineteen thousand, five hundred and thirty-four US dollars). The Head Media and Publicity of the EFCC, Wilson Uwujaren made this known in a press release in Abuja. The petitioner alleged that Yemaye in connivance with his cronies had swindled him of a huge sum of money running into millions while threatening to release the recorded romance video of him to the public. According to the complainant, Yemaye started his blackmail when the victim decided to back out from an earlier business of making him (Kuba) a beneficiary of his inheritance, a business he found out to be a scam. The investigation into the matter revealed that, the suspect falsely represented himself to the unsuspecting Kuba as Chief Barrister Elvis Yemaye. He also parades himself as an official of both the EFCC and the Central Bank of Nigeria, CBN using various fictitious e-mails. It was also discovered that the suspect claimed to be one Tommy Rex Jr. whose picture he used to lure his victim to sending money to him under the pretext of making him a beneficiary of his inheritance. The suspect will be charged to court as soon as the investigation is concluded.